Getting the whole family together for a vacation can be difficult enough, but when you add ski gear, snowshoes, puffy coats, hats, mittens, and everything else on to boot - it's nice to have space to spread out. It's also nice to have your own room to disappear to. Which is why we offer some of the finest and most convenient private homes for rent throughout the Vail Valley; with plenty of space, for all the things. 201B Riverbend, backs to hole 16 on Jack Nicklaus Golf Course, Private Hot Tub, Garage! 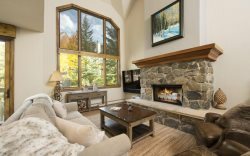 171 Village Walk, SKI IN/SKI OUT & Private Hot Tub! 89 Holden Road ~ Beaver Creek, Private Hot Tub! Elevator! 43 Holden Place ~ Beaver Creek, Private Hot Tub!